On November 9, in GUM Gastronom No. 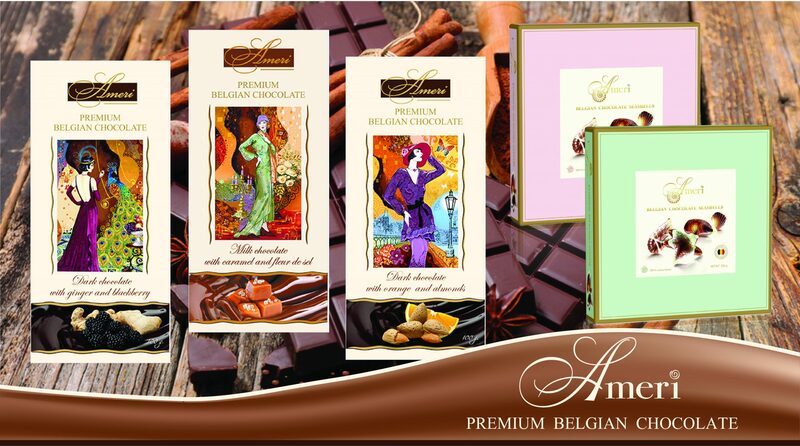 1 will be held a tasting of premium Belgian chocolate bars and chocolate seashells Ameri. Visitors will appreciate the unique milk chocolate, milk chocolate with caramel and salt Fleur de Sel, dark chocolate with lemon and black pepper, dark chocolate with ginger and blackberry, dark chocolate with orange and almond and chocolate seashells with praline filling.